Western liberalism is under attack, not only at home also but from newly-emboldened authoritarian states abroad. Across the West, states have begun to change their domestic and foreign policies to adjust to the new realities of increasing populism, growing Chinese and Russian power, and uncertain American commitment. For the first time since the end of the Cold War, internationalism is on the decline and nationalism is on the rise. By kind invitation of Stephen Kinnock MP, The Henry Jackson Society is pleased to invite you to join the former Chair of the Democratic National Committee Howard Brush Dean III for a fascinating discussion about nationalism and internationalism in the age of populism. Howard Brush Dean III served as Governor for 12 years – the second longest serving in the state. Respected on both sides of the political aisle, Dean was chairman of the National Governors’ Association, the Democratic Governors’ Association, and the New England Governors’ Conference while he served as Governor of Vermont. Dean left office in Vermont to run for President in 2003 where he implemented innovative fundraising strategies such as use of the Internet. As chairman of the Democratic National Committee, Dean created and implemented the “50 State Strategy” and the development of 21st century campaign tools. Dean is credited with helping Democrats make historic gains in 2006 and 2008. Under his leadership, significant resources were dedicated to revitalising the Party by building and strengthening the organisational tools, technological capabilities and infrastructure required to win while laying the foundation for a long-term Democratic majority. 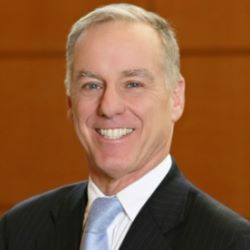 Governor Howard Dean, former DNC Chairman, presidential candidate, six term Governor and physician, currently works as an independent consultant focusing on the areas of health care, early childhood development, alternative energy and the expansion of grassroots politics around the world. 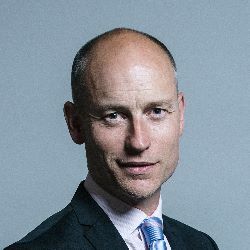 Stephen Kinnock MP – is a British Labour Party politician who has been the Member of Parliament for Aberavon since the 2015 general election. 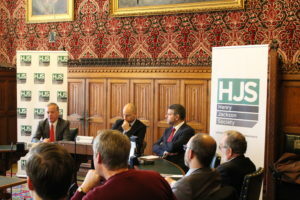 On the 28th of January, the Henry Jackson Society co-hosted the event ‘Nationalism and Internationalism in the Age of Populism’ alongside Stephen Kinnock MP. Howard Brush Dean III who served as Governor for twelve years and chaired the Democratic Governors’ Association, well known for engaging grassroots in his campaigns particularly in the health sector, spoke about the rise of the young generation in politics and their impact in America. During his own campaign back in the 1990s, they had limited money and social media was yet to exist, but the young people set the tone and did what would be likened to a social media campaign through emails alone. He let them do what they do best, they subsequently engaged the right people and he went on to hire them again – until Barack Obama hired those same people for his own campaign. There was a lot of emphasis on the point that the Democratic Party really utilise the younger generations, the ones with energy, unlike the Republican Party who he would now describe as ‘authoritarian’ and comprised of ‘old people’. He believes the young people aren’t just going to take over the Democratic Party, they are going to change it the way it needs to be changed. Dean went on to speak about the young generations inherent use of social media to really pressurise corporations to do what they feel is best for their society and to change their views. He believes that a lot of the time this works well, more so than in the 1960s which was still politically active but just didn’t have that power. However, one of the problems raised with the upcoming generation is their lack of enthusiasm for institutions. There is a start-up culture mentality that just isn’t sustainable in the political sphere, it’s faster and much easier to start a company than it used to be in the day of typewriters, but it is just as quick for people to change direction and for those same companies to dissolve. They would rather start their own institution than join one they can’t change and are the first generation to ‘socialise the institutions rather than have the institutions socialise them’ although Dean views this positively. Dean spoke of the Donald Trump campaign and how he radicalised people, not necessarily to vote for him but just to vote at all – more people under 35 than over 65 voted for the first time in his lifetime. He highlighted that the number one issue for young people is climate change and gay rights is the civil rights issue of their time, two issues that are counteracted by Trump’s presidency. Initially, Dean introduced the idea that all foreign policy including democratising places like Eastern Europe and Burma starts domestically. He gave an example of the transformation within the patriarchal society of Sudan where women now work and bring home an income. Later on he raised the issue that a lot of college level students don’t even know American history let alone global history and this is something that is shaping their views – they are less interested in history and more interested in human rights initiatives. The young generation want America to be how it was meant to be after the Civil Rights Movement, not what is simply preached but not practiced. He showed his fondness of the alliance between Britain and the US and emphasised the similarities – not just in language but in terms of our outlooks on the rights of women and homosexuals, shared contempt of both the Iraq War and the Vietnam War and obvious dismay at Germany’s recent actions with Russia. Likewise, with the feeling in disenfranchised areas such as the Midlands in England or Virginia in the United States, jobs going away from their areas meaning widespread redundancies. His solution to this is to encourage tax breaks for companies who move to these areas. His summarising statements were that capitalism is broken due to huge soul crushing companies that have monopolised industries, we need to see the ‘Colour of Change’ within our representative bodies and less of ‘stuffy old white men’, the EU is in trouble due to the lack of original youth renewal and transparency and that it is our job to tell the young generation who have so much energy that they will succeed if they do it their way.